Amazon.com Price: $491.99 (as of 2019-04-20 20:45:01 GMT) Product prices and availability are accurate as of the date/time indicated and are subject to change. Any price and availability information displayed on Amazon.com at the time of purchase will apply to the purchase of this product. The Britax Marathon 70-G3 convertible car seat accommodates children rear facing from 5 to 40 pounds and forward facing from 20 up to 70 pounds. 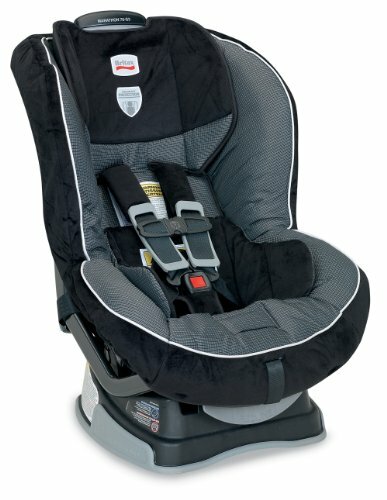 The Marathon 70-G3 is purposefully designed and engineered to minimize the forward movement of your child’s head during a frontal impact to reduce the risk of head injury with the following revolutionary Britax head safety technologies: base with safecell technology designed to compress in a crash, significantly lowering the center of gravity and counteracting the forward rotation of the child seat. Integrated steel bars strengthen the connection to the vehicle and reduce forward flexing of the child seat during a crash. Energy absorbing versa-tether features a two-point attachment and staged-release tether webbing to slow the forward movement and reduce the crash forces reaching the child. The Marathon 70-G3 also incorporates Britax side impact protection to contain the child and protect from the most severe types of crashes. The five-point harness is tangle-free with an fez-buckle system to retain the harness buckle in a forward position and harness holders that keep harness straps pulled to the sides to make boarding quick and hassle-free. Other features include a no-rethread harness and an easy-remove cover that also allows access to belt paths from the front of the seat, while the multiple buckle and recline positions, comfort pads, and infant body pillow provide premium comfort and positioning. SOLD OUT: Cheryl and Co. Platinum Cookie Gift Bundle just $9.99 Shipped!